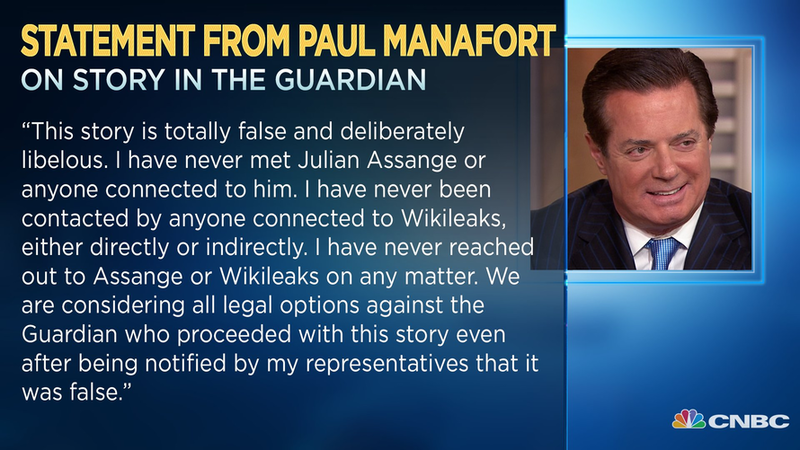 Former Trump campaign manager Paul Manafort has responded to a "totally false and deliberately libelous" report in The Guardian that he had several meetings with WikiLeaks founder Julian Assange in the Ecuadorian embassy in London. "This story is totally false and deliberately libelous. I have never met Julian Assange or anyone connected to him. I have never been contacted by anyone connected to Wikileaks, either directly or indirectly. I have never reached out to Assange or Wikileaks on any matter. We are considering all legal options against the Guardian who proceeded with this story even after being notified by my representatives that it was false." 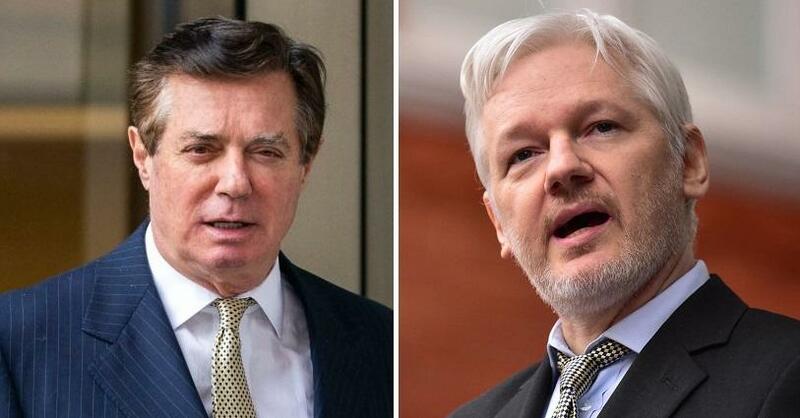 The Guardian reported on Tuesday - based on unnamed sources - that Manafort held secret talks with Julian Assange inside the Ecuadorian embassy in London, right around the time he joined Trump's campaign. And as Glenn Greenwald of The Intercept points out, if the story is true - there would be ample video evidence of Manafort's visits. The Guardian also ignores the fact that every guest visiting Assange "is logged in through a very intricate security system," notes Greenwald. Why, as Greenwald asks, would Manafort visit three times but never be logged in? Why would leftist Rafael Correa allow Manafort - a life-long GOP operative, to enter the embassy undocumented? Greenwald further points out that The Guardian's omission is "especially inexcusable" since The Guardian itself "obtained the Embassy's visitors logs in May," and made no mention of Manafort's visits at the time - which would have been bombshell news.